You will get this error when you are trying to Delete the record from a Table which has a reference in another Table. 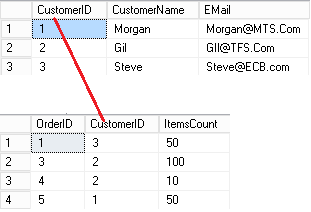 Consider two tables Customers(Primary Table) and SalesHistory(Relative Table). 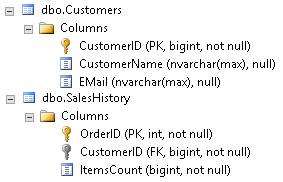 Here the column CustomerID is Primary Key of the table Customers and which is referenced as Foreign Key column in SalesHistoryTable. IDREFERENCE constraint is "FK__SalesHist__Custo__060DEAE8". When we try to delete a row from Customers Table with CustomerID which is referenced in SalesHistory. The DELETE statement conflicted with the REFERENCE constraint "FK__SalesHist__Custo__060DEAE8". The conflict occurred in database "MorganDB", table "dbo.SalesHistory", column 'CustomerID'.